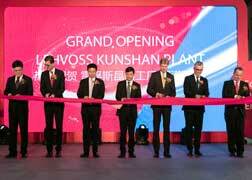 German materials firm Lehmann&Voss&Co has opened a 2,500 sq m production facility and Application Technology Centre in Kunshan, China. Production at the plant will focus on its Luvocom compounds as well as Luvobatch additives and masterbatches. “We are proud to be present in China, not only with our market development organisation but from now on with our manufacturing as well. This represents a strong commitment to customers and the Asian market,” said Juergen Heise, General Manager of Lehvoss New Material (Kunshan). 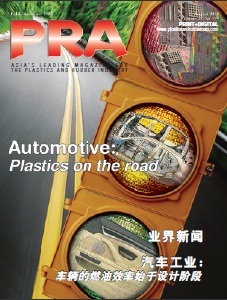 “This is an important milestone for the globalisation of our polymer business. Lehmann&Voss&Co. is now represented with production facilities on three continents. We are excited by this new opportunity to expand our business, which enables us to further improve service for our global and local customers in China and throughout Asia,” said Heise. Lehmann&Voss&Co., Hamburg, was founded in 1894 as a trading company. Since that time, the owner-run company has evolved into a global organisation – with long-standing connections to prominent, mainly foreign suppliers with their own production sites. Luvocom compounds from Lehmann&Voss&Co. 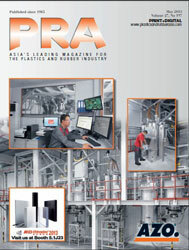 extend the range of applications for plastics.